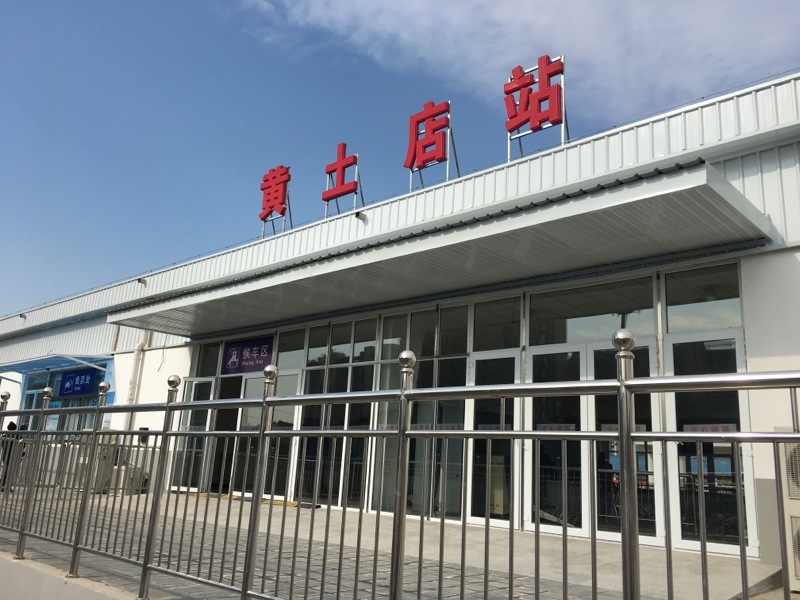 Huangtudian Railway Station (黄土店站) has opened to passenger rail traffic, and will now be the Beijing terminus for all Suburban Line S2 trains until late 2019. The station is a short walk away from Exit G4 at Huoying Subway Station. 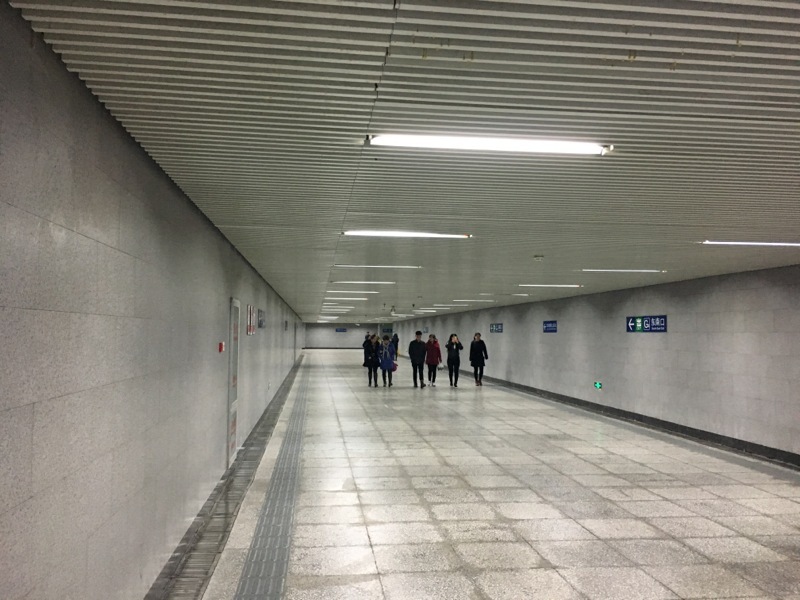 Passengers who were used to going to Beijing North (Beijingbei) station at Xizhimen will now need to take Line 13 as far as Huoying. 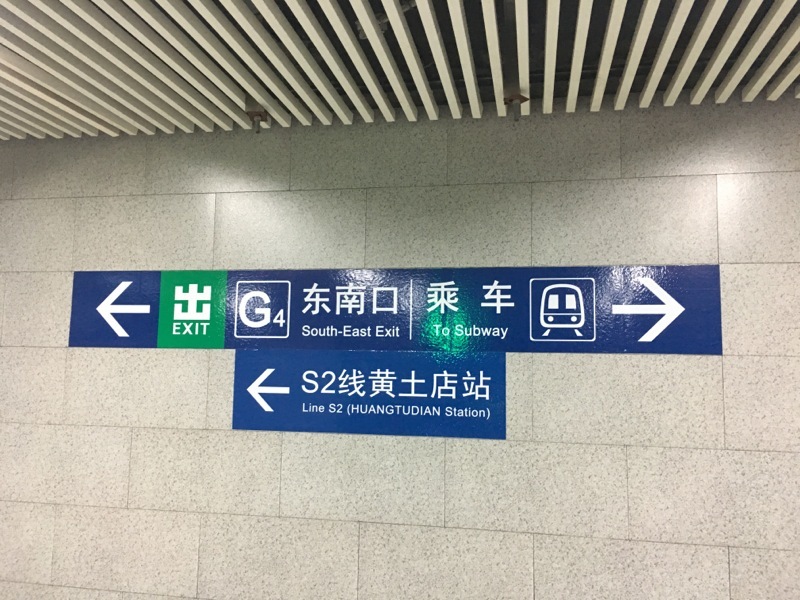 Alternatively, they may stay on Line 2 trains to Guloudajie, then connect there onto a northbound Line 8 train to Huoying. This will mean at least 30 minutes of extra travel time (probably a bit more if using Line 8, as it serves more stations). 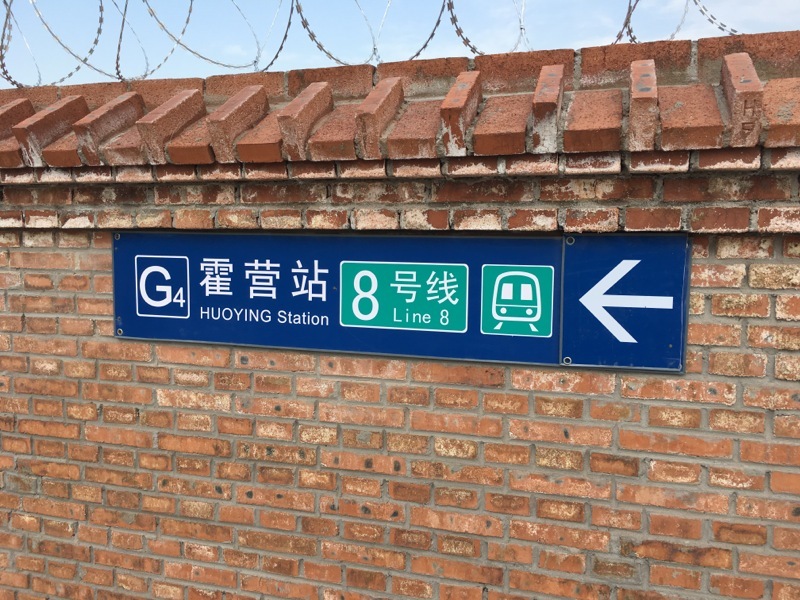 Fortunately, the switchover is rather smooth as new signage at Huoying, which generally give clear reference to Huangtudian station, are readily available. Head first for Exit Set G, then make your way to the specific Exit G4. If you’re coming in from the Line 13 bit of the station, this will require you, in general, to switch first over to the Line 8 part of the station, then head out via Exit G4, although if you’re more aware of the surroundings, there is a shortcut (signed one way) if you get out from Exit A. If you’re arriving in the Line 8 part, then just follow all signs, first to Exit G, then to Exit G4. You’ll make a turn to the right to go through a new passageway which leads first to Exit G3, then to Exit G4. Just remember to continue straight once you’ve split off from the “main path”. Finally, leave the station from the new Exit G4. 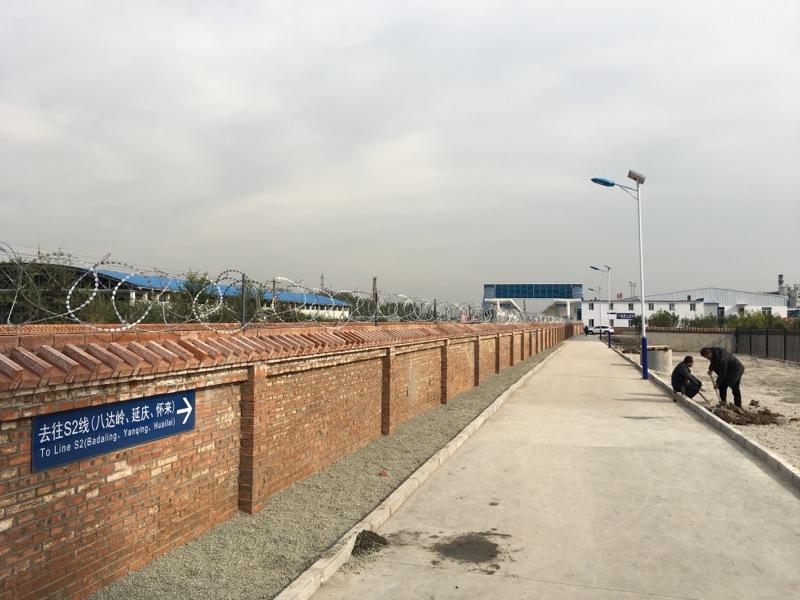 Huangtudian station will be right ahead of you — there’s about 110 metres (around 120 yards) to cover on foot. It’s prettier on the inside than the outside, where we do admit, the barb wire doesn’t make for a great view. There are two platforms at Huangtudian station, and there’s a covered footbridge to help you get between the two. Platforms are conveniently covered to keep the elements away from you, although you might not appreciate this during Beijing’s notoriously Siberian winter. You may use your Beijing Yikatong smart card if you’ve at least ¥16.— stored value. You will need to return to the Subway station to add value or to get a Yikatong card; alternatively, you may pay in cash for a special ticket valid only on Suburban Line S2 rail services. Ticketing for trains (for those without a city transport smart card) begins 40 minutes ahead of schedule. Do remember that standalone ticket validators may be in use, so if you’re using a transport card, always touch on the reader as you begin or end your journey here! 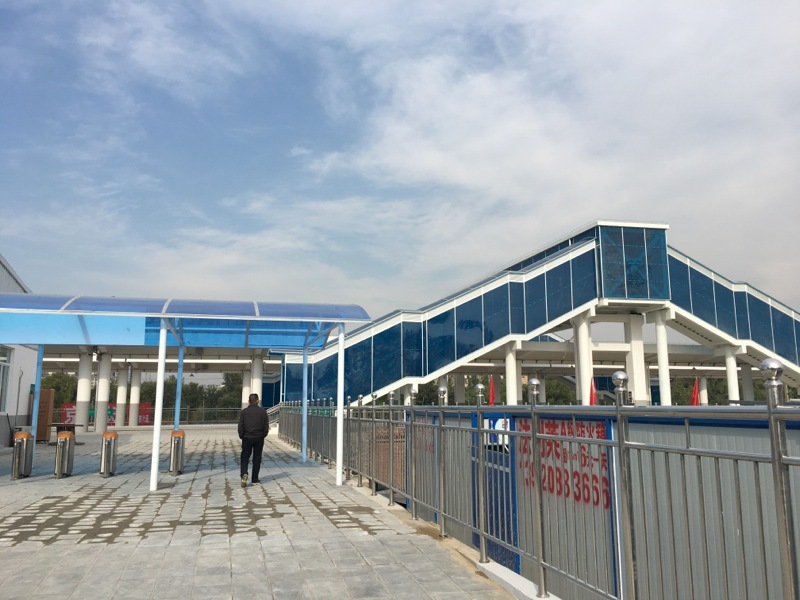 Regular rail trains don’t leave from or arrive at this station, so you’ll need to continue onto Line 13 to Xi’erqi, then connect onto a Changping Line train for Changping Subway Station, and leave there, for the nearby Changping North (Changpingbei) Railway Station. Also note that trains will not serve Changping Railway Station, as that station is now closed. Rail fans: Be sure to take a few good photos around here. 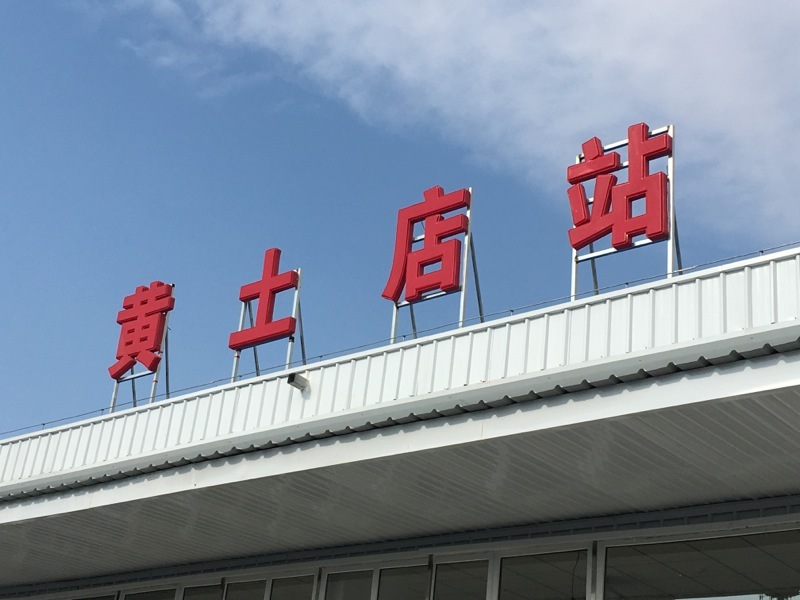 Huangtudian has not been open to passenger rail services for a long time, and it’s likely that this station will close again — likely for a longer time — when the new Beijing-Zhangjiakou HSR arrives in late 2019. Huangtudian Railway Station is closest to Exit G4 of Huoying Subway Station, and it’s also a 110 m (120 yd) walk. Fortunately, the station is very clearly visible, so all you’ll need to do is to head to the exit, and go downstairs. 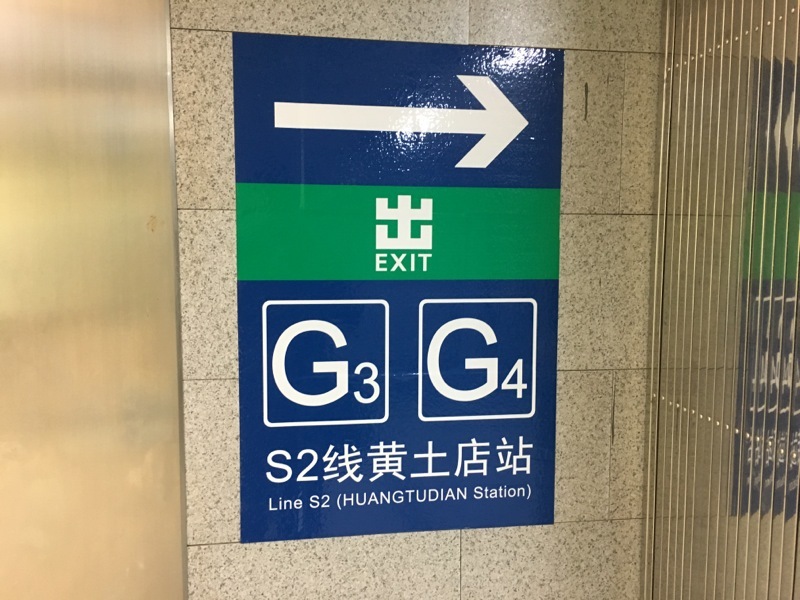 At the end of the corridor, you can either continue straight into the Line 8 part of the station, or alternatively find a shortcut via Exit G3 to Line 13, which you’ll enter at Exit A. This shortcut will involve walking through some slightly “derelict” paths, so do always mind your step. Alternatively, for a smoother trip, head into the Line 8 part of the station first. 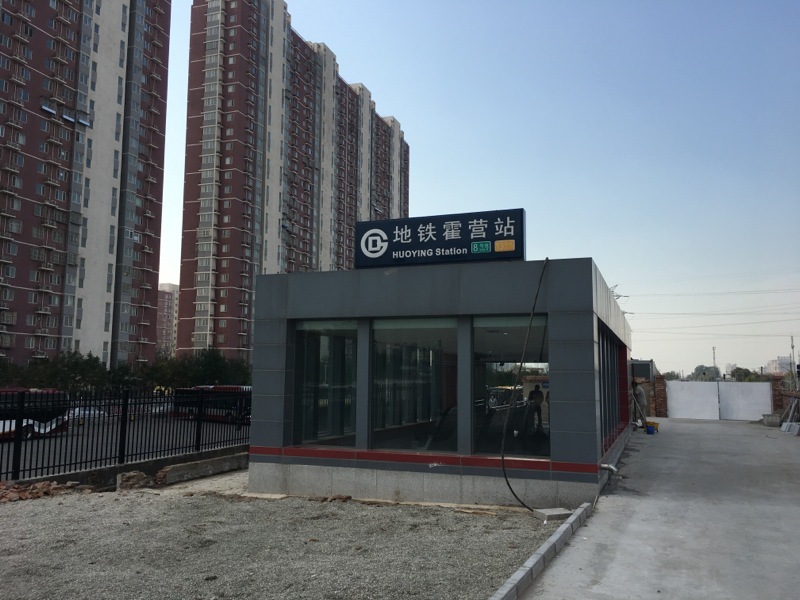 Also, from Huoying Subway Station, you may connect here to Beijing Bus Routes 606 or Dedicated Bus Route “专 21”.